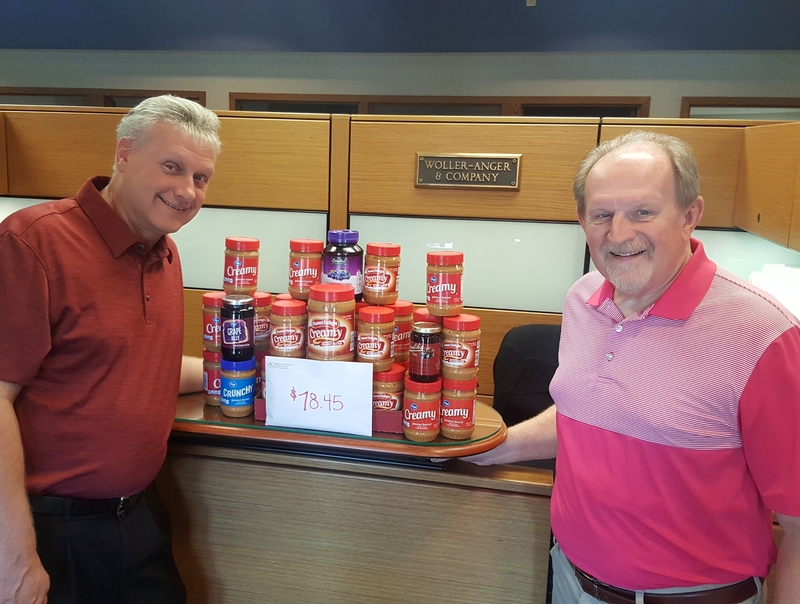 During the month of May, Woller-Anger employees participated in the 3rd Annual Peanut Butter & Jelly Drive in support of Wisconsin Feeding America Food Banks. Summer is upon us and you may think it’s the best time of the year for children but sadly, for many children summer can mean hunger. This PB&J drive, which is sponsored by Safelite Auto Glass, provides financial assistance and nutritious food to help those children in need so they can enjoy summer. Woller-Anger collected 30 jars of PB&J and $78.54 in cash donations, which will be matched by Safelite. All food and monies collected stay in our local communities.